For all those who love to cook food and eat food, microwave oven are essential devices in their kitchen. From cooking delicious cookies for your kids to preparing a wonderful cake for your family, a microwave oven can help you make tasty dishes at home itself. It is also very helpful for hostel students or bachelors to cook some food very quickly. 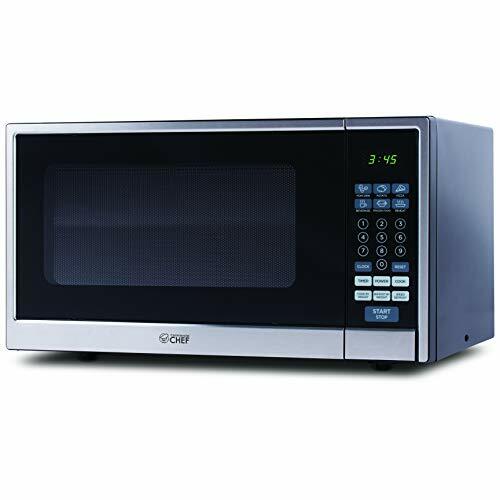 But if you are buying a microwave oven for the first time, you should know some things that will help you to pick the perfect microwave oven for you. Microwave ovens are of two types- standard and combi. While standard microwave ovens use a form of electromagnetic radiation to rapidly heat foot, combi ovens add in alternative cooking methods. Combi ovens give you a wider choice of cooking options, suitable for all types of food. Usability is a very important thing while considering microwave ovens. Microwave ovens in the market now come with a lot of controls. Take time to analyze top selling microwave ovens in the market. Yes, it is a tedious job to go and search each one of them and find its feature. 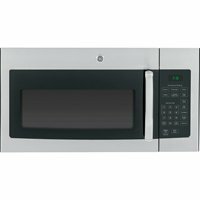 I am providing the top-selling microwave ovens along with their features, pros, and cons. You can analyze each and come to a conclusion. an Add 30-Seconds control, as well as six pre-programmed cooking functions for popcorn, pizza, a dinner plate and more. It offers a perfect combination of presets and the ability to customize and save your favorite cook settings. The Samsung MS11K3000 1.1 cu.ft. 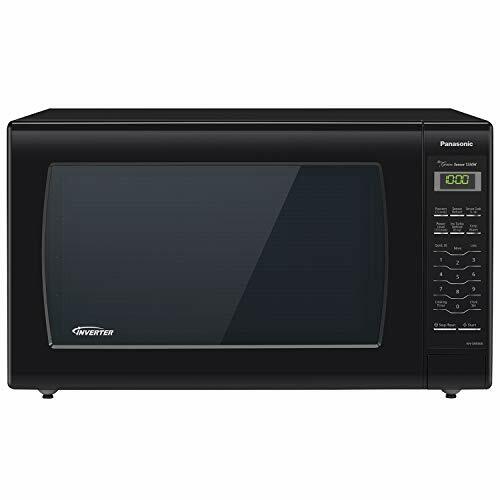 Countertop Microwave Oven comes with sensor cooking to take the guesswork out food preparation, dial control for fine-tuning, and an easy-to-clean ceramic enamel interior. You can be a master cook with just this one tool. The ceramic enamel interior is scratch resistant and easy to clean. 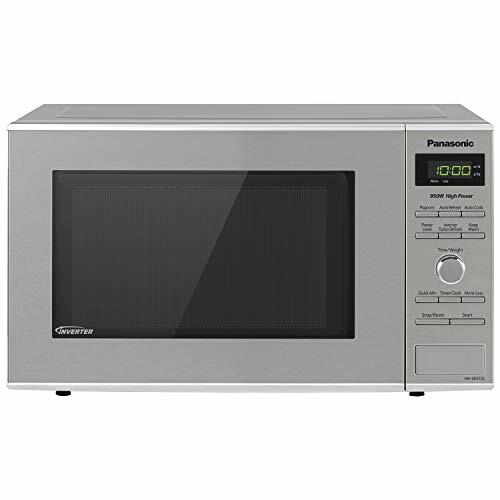 The Panasonic NN-SU696S Countertop Microwave Oven takes the guesswork out of microwaving by automatically setting power levels and adjusting cooking or reheating time by making use of a touch of the Genius Sensor cooking button. This microwave oven provides 1100 watts of high cooking power and fits compactly on a kitchen counter. 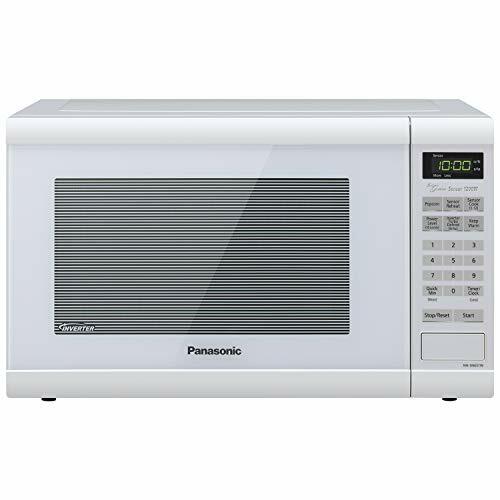 The Panasonic NN-SN936B Countertop Microwave features Panasonic patented Inverter Technology engineered for even cooking and delicious results. It offers 1250 Watts of high cooking power and 14 Preset Auto Cook Menu Items. It takes the guesswork out of microwaving by automatically setting power levels and adjusting cooking or reheating time. A sleek, touch-button control panel and four-digit display provide a high-end look, with one-touch sensor cook and reheat. The Sharp Countertop Microwave Oven is built-in for a custom look and 1200 watts of power give you rapid reheating and fast cooking. It is ideal for large families and entertaining. The product fits larger serving trays and casserole dishes. Its innovative features like One-Touch controls, Precise Cook Sensor Technology, Auto Defrost and the Carousel turntable system make cooking and reheating your favorite foods, snacks and beverages easier. The LG LCRT2010ST 2.0 Cu Ft Counter Top Microwave Oven cooks perfectly and looks good while doing it. It has 2.0 cubic feet rounded interior with 1200 Watts of Power in a Premium Stainless Steel Finish. This microwave oven allows you to cook your food easily, and perfectly every time. 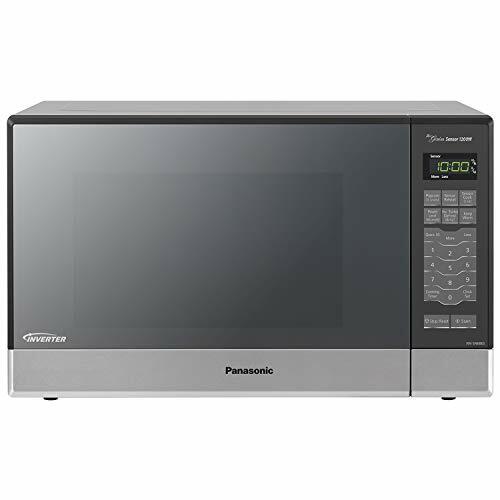 The Panasonic NN-SN651WAZ Countertop Microwave with Inverter Technology delicious flavor, excellent color, superb shape and texture in the foods you cook. This product perfects the art of cooking with microwave ovens. The delicate foods can simmer without the edges and surfaces overcooking. The Toshiba EM245A5C-BS Microwave Oven with Inverter Technology comes with innovative cooking technology and a spacious interior. The Inverter technology provides even heating and defrosting so you get great results without overcooking. 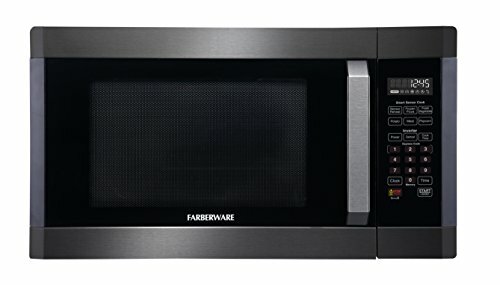 The Farberware Black FMO16AHTBSA 1.6 Cubic Foot 1300-Watt Microwave Oven uses Smart Sensor Cooking and Inverter Precision Cooking Technology. It elevates the traditional stainless steel look with a softer and warmer finish that helps reduce fingerprints, smudges, and other unsightly marks. It allows you to cook your meals without compromising taste, texture, and flavor. 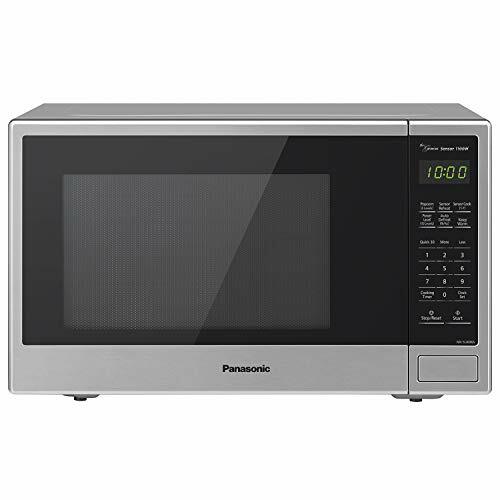 The Panasonic NN-SN686S Countertop/Built-In Microwave with Inverter Technology has patented Inverter Technology generates a steady stream of power at all temperature settings. 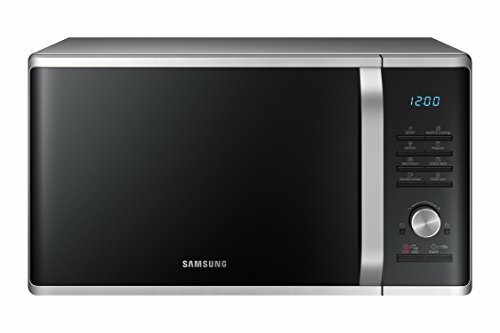 The inverter Technology delivers microwave energy in a way that allows delicate foods to simmer without overcooking. In addition, foods retain more color, texture, and nutrients for fast, easy and delicious results. The Panasonic NN-SD3725 Countertop Microwave with Inverter Technology makes a stylish and convenient addition to any contemporary kitchen. The compact unit provides quick and easy meal preparation without taking up excess space on the counter. It is ideal for individuals or small families. 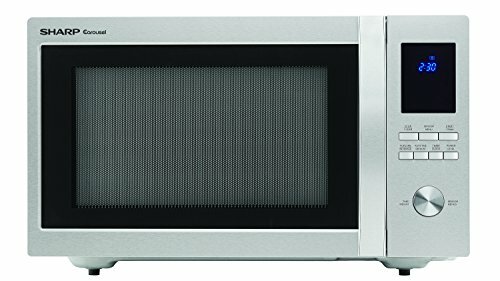 The GE JVM3160RFSS 30” Over-the-Range Microwave Oven is a powerful, robust device that won’t burn a hole in your pocket. The slick stainless steel surface and the simple grey-black color scheme is a guarantee that this model won’t hurt your kitchen’s overall aesthetics. 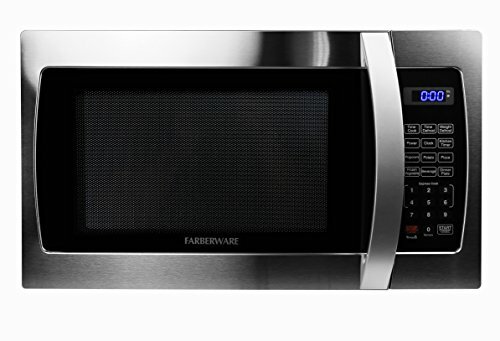 This is a powerful microwave oven that does everything you’d want your microwave to do and more. This oven combines the properties of smaller over-the-range microwave ovens with the performance and durability of conventional microwave models. The Breville Quick Touch has smart settings to take the guesswork out of cooking, reheating and defrosting foods. It is easy to use the microwave that knows the power level and time to suit the food you’re cooking. The One-Touch Auto Buttons are pre-programmed shortcuts for commonly used tasks. 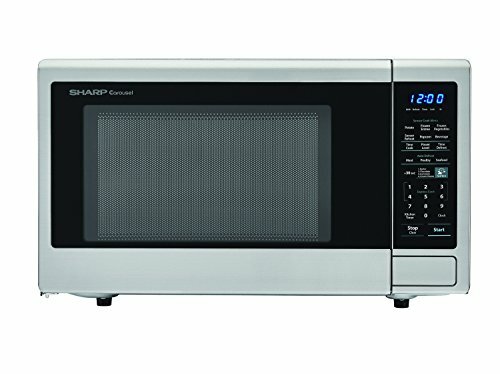 The Sharp Microwaves ZSMC1442CS Sharp 1,000W Countertop Microwave Oven specifically tuned to achieve optimal popping results. 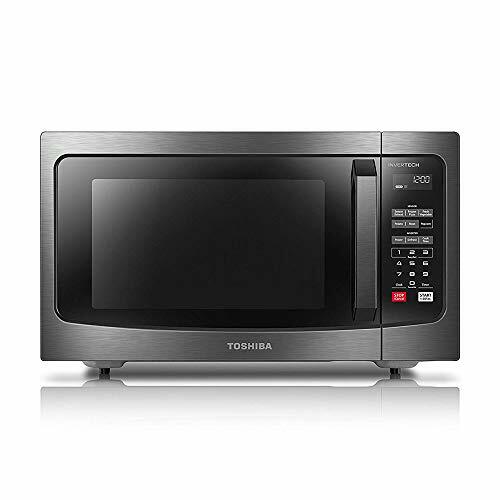 This microwave is more than a great choice for reheating and everyday cooking. The 1000 watts of power gives you rapid reheating and fast cooking. 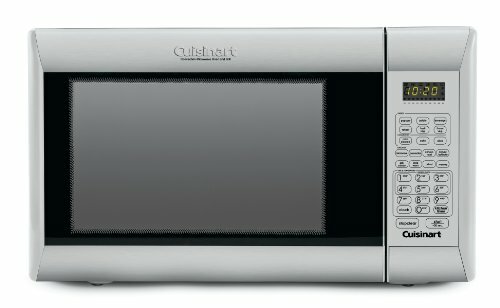 The Cuisinart CMW-200 1.2-Cubic-Foot Convection Microwave Oven is the ultimate combination of size, style and smart. It looks like it belongs in a high-end commercial kitchen. This is a new generation of the microwave. 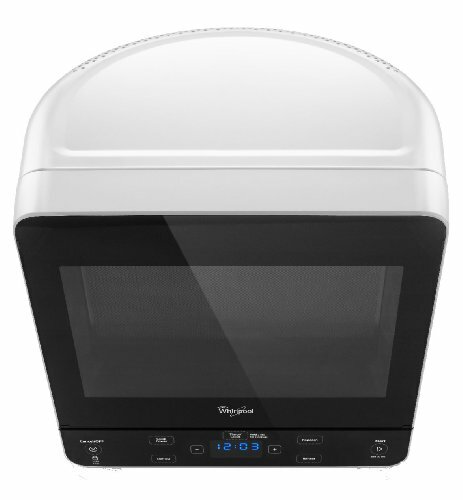 The Whirlpool WMC20005YW Countertop Microwave has a unique rounded back, which allows it to fit into corners. It will help you to maximize your counter space. This product is ideal for tight spaces like small kitchens and dorm rooms. It has a glass turntable that is larger than those in standard comparable microwaves. The Westinghouse, WCM11100SS, Countertop Microwave Oven is a great addition to any busy family’s kitchen. Its 10 power levels let you cook or reheat a variety of foods until just right. The child safety lock ensures the microwave is not used without supervision. This countertop microwave delivers 1000 watts of power. A microwave oven is not that cheap product. So you have to make sure that the product you should give value for the money you spend. For this, you should have a clear knowledge of the different microwave ovens in the market. If you know the details of each product, it will be very easy to pick the microwave that is perfect for you.